The 200th year of the combat has not only marked Mahars' assertion against Peshwas but also brought the subaltern narrative into the mainstream. In times of hypernationalism, when every piece of history is dissected and every opinion on either side of history weighed on the scales of pro- and anti-national, here is a leaf from history that may baffle many. The Maharashtra government, on January 1, officially commemorated the bi-centenary “Vijay Diwas” at Bhima Koregaon in Pune district. What makes the state government’s role in the celebrations significant is the history of the battle of Bhima Koregaon. Vijay Diwas is commemorated on the first day of the New Year by a large section of Dalits in Maharashtra to mark the victory of a small troop of soldiers from the Mahar community over the mighty Peshwas in 1818. The Mahars’ victory in the Battle of Bhima Koregaon has never been part of popular, mainstream history. But it has been celebrated by many for several years. Subaltern historians have written at length about the historic battle: for them, the victory was not limited to just another battle they fought. It was a revolution against the oppression of lower castes during the Peshwa rule. The narrative of Bhima Koregaon is also symbolic of an attitudinal shift in the perception of the Mahar community — from being an oppressed community to a warrior one. 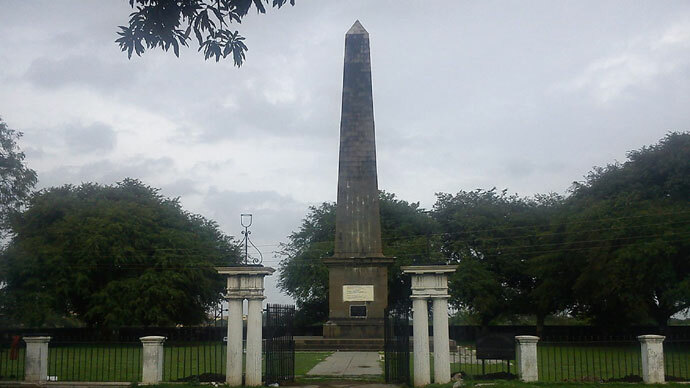 The battle of Bhima Koregaon was fought between the Peshwas and the British East India Company in 1818 on the banks of the Bhima River in Koregaon village. Under the leadership of Peshwa Bajirao II, an army of 28,000-strong Maratha soldiers attacked Pune. A small company of 500 soldiers led by Captain Francis Staunton put up a strong defence. The battalion called “Bombay Native Infantry” included predominantly soldiers belonging to the Mahar caste. As a mark of respect to the soldiers who lost their life in the battle, the British had erected a pillar as a memorial. The site is, therefore, revered by Dalits as a symbol of the uprising by the community against the caste hegemony that existed in the Peshwa rule. Every year, hundreds of Dalits visit the place on January 1. 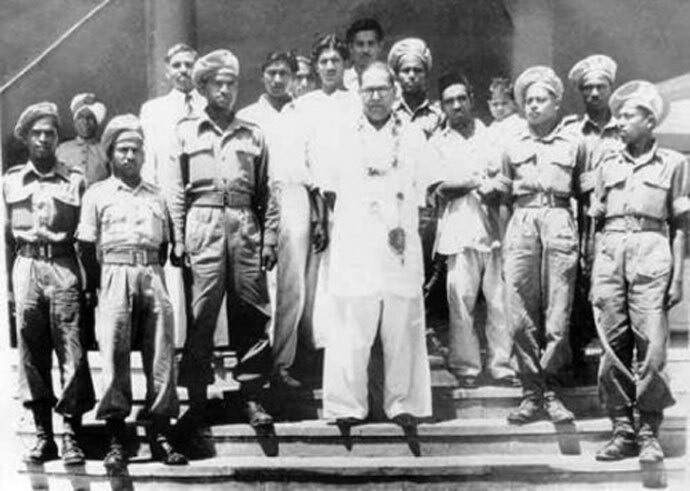 Ambedkarite historians believe that the practice began way back in 1937 when Babasaheb Ambedkar visited the place and eulogised the victory as a mark of pride in the chapter of fight against social apartheid. A section of historians believes that during the Peshwa rule in Pune, Dalits were treated with utmost humiliation. Some legends say that Dalits were forced to tie a broom to their waist to sweep away their footprints on the public roads they used. They were also forced to tie pots around their necks to spit as it was considered as unholy if they spat on the road. A section of alternative historians says that the treatment meted out to the Mahars was in sharp contrast to how the community was treated during the Maratha rule under Chhatrapati Shivaji. Mahars were respected in Shivaji’s army as a warrior community. The battle of Bhima Koregaon thus has strong socio-political undercurrents. Ambedkar, who was leading the battle of social justice, used the Battle of Bhima Koregaon as a metaphor for his approach to annihilation of caste. 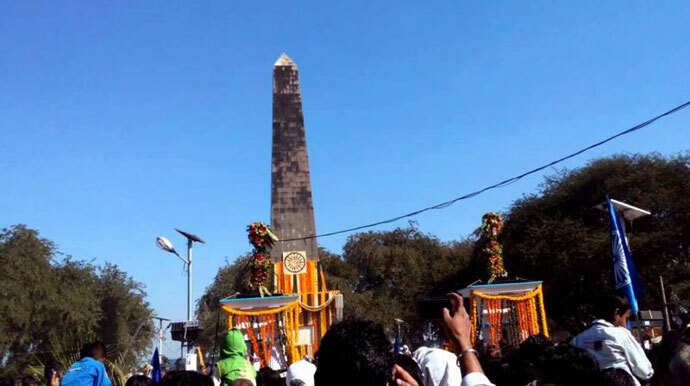 Celebrations at Bhima Koregaon have only grown ever since. But rightwing activists and historians have always called the battle a trap by the British, which was in tune with their divide-and-rule policy. They believe it was fought between the Peshwas and the British with the help of natives. There have been organisations that have opposed the celebrations at Bhima Koregaon, some even calling the commemoration anti-national as the Peshwas were defeated in battle at the hands of the British. The Peshwa rule came to an end the same year, paving way for the Union Jack to be unfurled atop the Shaniwar Wada, the ruling seat of the Peshwas. This year, too, lakhs gathered at the memorial site opposing the celebrations by Dalits. And this is why the state government’s stand on the bi-centenary celebrations of the Battle of Bhima Koregaon assumes importance. Led by a party like the BJP, the state government not only arranged for the “smooth” celebrations but also made its ministers attend the event. Fringe elements like the “Brahman Mahasangh” and the descendants of the Peshwas appealed the government to cancel the celebrations, but they were not heeded to. Some BJP members, too, opposed the event on the eve of the Vijay Diwas, citing that the event is being politicised after Gujarat MLA Jignesh Mewani addressed a gathering at Shaniwar Wada. But beyond that, the opposition gathered no steam. The magnitude of the programmes at Bhima Koregaon and the stamp of official approval by the government is a landmark. The 200th year of the battle has not only marked the Dalit assertion but also brought the subaltern narrative of Bhima Koregaon into mainstream history. The writer is deputy editor at India Today Television.